Listen to any episode of This American Life, anytime, for free. That’s access to nearly 450 hour-long episodes, all fascinating. 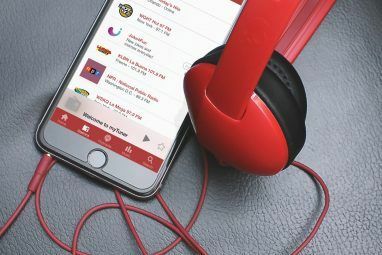 You may not realize it, but the popular radio show from Public Radio International offers a free stream for every episode the show has ever produced right on its website. Sure, only the most recent episode is available for (free, legal) downloading, but if you need something amazing to listen to while working around the house there’s nothing better. 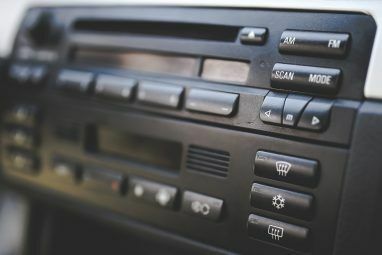 Those living in North America are probably familiar with This American Life, a weekly radio show broadcast throughout the USA and Canada on public radio stations. It’s an altogether hard show to describe. Typically made up of two or more documentary stories, This American Life covers everything from deep personal struggles to high-stakes international politics. All of this is done from a smart, unique point of view that always manages to inform and entertain. For Americans it’s a rare opportunity to reflect on what it means to be American. For our many international readers this show is a great way to learn about American culture. Beyond that though, this show is a great lens through which to view humanity in general. The easiest way to listen, of course, is using the This American Life podcast. Updated once a week, this podcast only contains the episode last broadcast on the radio. Find an iTunes link and an RSS feed here to get started with the podcast. There is a variety of podcast software out there to use with the RSS feed. Explore a few podcast programs here The 3 Best Programs for Subscribing to Podcasts The 3 Best Programs for Subscribing to Podcasts Read More . One hour of content weekly is great, but if you find yourself wanting more after listening to a single episode don’t worry – there’s more. Head to the This American Life archive page and you’ll find every single episode of the show available for streaming. There has been a weekly show on the air since 1995, so nearly 450 hour-long episodes are available. You can browse by year, if you like, or use the search. Alternatively, you can browse by favorites. 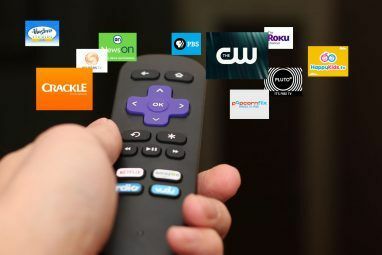 This allows you to start with the most popular episodes of the show. You can also browse by contributor, if you like; you’ve probably heard of a couple of the contributors. Finding episodes on the website is great, but if you’d prefer to listen on your mobile device you’re also in luck. The show offers mobile apps. These apps allow you to temporarily download episodes for offline listening, and make it really easy to explore the show’s archives. They aren’t free, but are pretty cheap considering the content they give you access to. Public radio in America isn’t like public radio in some other countries; the government does not pay for everything. Most public radio budgets in America are made up from listener contributions. As such, it’s important to contribute to shows that you like. If you end up liking This American Life after checking it out, be sure to click the “Donate” button and contribute; it will help keep this great show on the air and the web. Do you have a favorite episode of This American Life? Link to it below. Also feel free to recommend any other similar shows or podcasts in the comments below. I know it's a tough economy, but that also means it's a tough economy for public radio. I'm not judging, because I've broken DMCA many a time. However, I do feel strongly about This American Life. Besides providing entertainment, they are a very good news source---listen to their stories about the financial meltdown to see what I mean (you will laugh and cry). If you really can't spare the money, I would rather people listen than not. But think about it, if you can afford a smart phone, then you can spare $5 for the app. They offer the archives on the web for free, so no gripes there. But I encourage you to donate. the obligatory: I am not affiliated, blah, blah, blah. Can't agree more. Last year the donations from Internet listeners didn't even pay for the show's bandwidth. If you check out this show and enjoy it, donate.